The Kohaku koi fish, the koi hobby begins and ends with Kohaku koi. Let’s talk about the koi… The Kohaku is a scaled or scaleless type of ornamental koi with a white body and one or more red blotches or patches to create it’s pattern. The simplicity of colors in this variety of koi is also it’s complexity. Kohaku come in many varieties such as butterfly, gin rin, doitsu, and tancho. Tancho may be one of the most sought patterns of Kohaku with its pure white body and only a circular spot of red on the head of the fish. Tancho is a very symbolic koi variety representing the pattern of the flag of Japan. The Kohaku’s symbolism is literally skin deep with the white color of it’s body representing the purity of white, like the snow; and the color red representing the Sun to the Japanese. The combination of red and white colors in Japan are used for many special occasions. The combination of red and white is used by Japanese koi breeders to win koi competitions too. 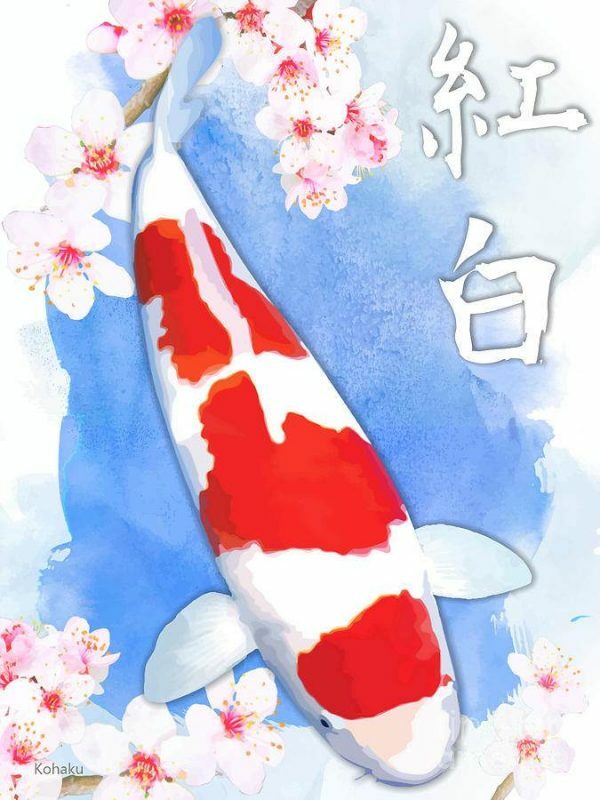 Kohaku are no strangers to being named as Grand Champions at koi competitions around the world; making them one of the most valuable varieties of koi. Becoming Grand Champion is a special occasion that should be celebrated with red and white! Koi keeping is a journey. Its a journey that has been labeled a hobby. Journeys are long term quests, often times complex, with expectations for the unexpected and discoveries happening along the way. A trip to the supermarket is not a journey (unless you’re my wife), and a trip to the supermarket cannot be epic (again…). When it comes to the koi keeping journey, the journey can and at times does become epic. Can the purchase of a small koi possibly turn you into a world traveller, learning a new language, or watching the sunrise in Niigata Japan? Yes, the koi keeping journey can do that. It is said that the koi keeping journey begins and it ends with Kohaku. That is a beautiful sentiment. To appreciate the beauty of Kohaku it is good to understand the incredible lengths that were gone through to create such a simply complex pattern that the breeder artists created. The koi journey may have begun with Asagi. Asagi is the first koi variety from which it is believed all other koi varieties are stemmed from. Asagi is a beautifully scaled white koi with blue and red markings. That red coloration of the Asagi is believed to have given rise to the Kohaku, however there are varying accounts of how and when they came to be. Let’s go back to the basics of the Kohaku being a white skinned fish. White skinned fish are extremely rare, almost nonexistent in nature. In natural conditions white skin is a liability to a fish since it is highly reflective they can become easy prey for many types of predator. There are many fish that have some white on them in nature, and of course there are albino fish but albinos are considered genetic “defects”. The creation of a white fish was a long painstaking process that took many generations of koi to produce. The creation of a white skinned fish with red patches was a slow, methodical, intentional process; resulting from generation after generation of meticulous culling. Kohaku are among the earliest varieties of koi. They are also one of the “Big 3” grouping of koi known as Gosanke and is made up of Sanke, Showa, and Kohaku. Within the Kohaku grouping there are different varieties. As mentioned earlier there are the Tancho variety, there are also 1-Step (Ohmoyo), 2-Step (Nidan), 3-Step (Sandan), 4-Step (Yondan), and so on. The “steps” equate the number of red patches on the koi. A Kohaku with 3 distinct red patches would be described as a 3-Step variety of Kohaku; and so on. Even the Step patterns can be recognized and named based on the shape of the red patches as well; a zig zag or lightning shaped Step pattern would be called Inazuma. There is also a cherry blossom pattern. No koi collection would be complete without Kohaku. This koi variety don’t require any special care beyond the typical requirements for koi keeping, and of course they are peaceful fish mixing well with any type of koi and most ornamental pond fish. They are cold tolerant and can be kept outdoor year round even in colder zones. 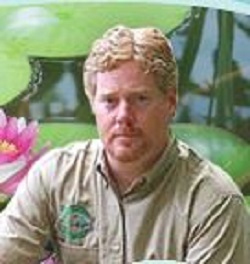 Kohaku are easily found and widely available on a global scale with breeding occuring on almost every continent. Great looking Kohaku can be easily found at water garden centers for the typical backyard pond. High end and show quality Kohaku are best aquired through reputable breeders specializing in this variety. These breeders will often provide blood line certifications to accompany your investment in show quality koi. Maybe your Kohaku is on your passenger seat as you drive home from the local garden center, or maybe it is next to you in the airplane while you fly back from Japan with your newly acquired champion bloodline tosai Kohaku. The appreciation of Kohaku is so simple and so complex that the saying holds true; “The koi keeping journey begins with Kohaku and it ends with Kohaku”.